Cast iron is another example of commonly used ferrous metal. It is hard, brittle, strong, cheap, and self-lubricating ferrous metal. It is remelted pig iron with small amounts of scrap st eel. It can be classified as Whitecast iron, grey cast iron, and malleable cast iron. It is normally used in the manufacturing of heavy crushing machinery. car cylinder blocks, vices, machine toolparts, brake drums, machine handle and gear wheels, plumbing fitments etc. Its an important ferrous metal in automotive pressing. Henry VIII initiated the casting of cannon in England. Soon English iron workers using blast furnaces developed the technique of producing cast iron cannons which while heavier than the prevailing bronze cannons were much cheaper and enabled England to arm her navy better. The ironmasters of the Weald continued producing these until the 1760s, and this was the main function of the iron industry there after the Restoration. Carbon content over 1.5 % make iron alloys brittle, non-ductile and unable be worked by hammering. Also these alloys can't be hardened by heat treatment. Such metals are easy to melt, and easy to break by hammering. Therefore they are used only for casting work. Therefore we can see that iron, steel, and cast iron form a family based on the absence or degree of carbon content. Although iron is not used for blades it can be used for tsuba and other fittings like fuchi/ kashira, kuirikata, and kojiri etc. 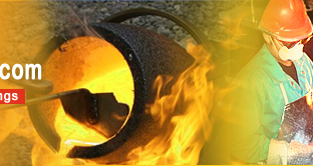 Low carbon steel is used for various kinds of tools and arms. Sword smiths can use either iron or cast iron as ingredients to produce their own steels. 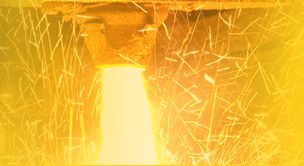 They control the carbon content of the steel using their forge. We call this home-made steel "Oroshi-gane".